Rodents Stop is an independent, family owned and local rodent clean up and control company. We proudly service all of the Los Angeles greater metropolitan area focusing on helping residents live in a rat and mice free environment known . Our services include hantavirus infection. At Rodents Stop we take measures to control and block rodent infestation, and provide clean up services such as attic and attic decontamination. Our friendly staff is ready to serve in order to help you permanently solve your rodent issue with our 100% Rodent Free Guarantee. Protect your home against the hantavirus infection by calling the professionals at Rodents Stop today. How Rodents Cause the Hantavirus Infection? Did you know mice and rats spread hantaviruses among themselves and what they leave behind? Their constant droppingss, urine, saliva, and blood of infected animals are chock-full of virus particles that cause you to get this virus. Although it’s possible to get hantavirus infection from a mouse or rat bite, such infections are rare. Most people get it by inhaling dust contaminated by rodent droppings or by touching rodent urine and then touching their mouth, eyes, or nose. Don’t get infected with hanavirus, protect yourself and your loved ones and call Rodents Stop today for our rodent proofing and rodent cleanup services to protect your home. How Does the Hantavirus Affect Me? 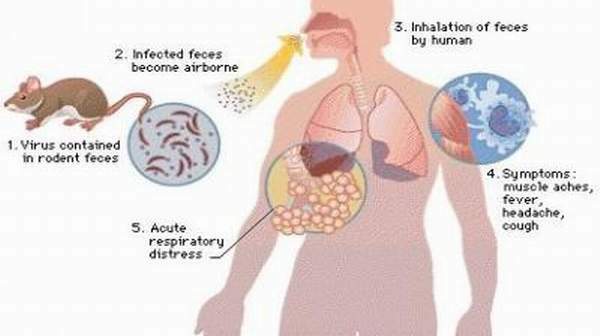 Even healthy people who inhale hantavirus can get a fatal infection. There’s no specific treatment for hantavirus infection. Known antiviral drugs do not help. There is no vaccine. The sooner people with hantavirus infection get intensive care, the better their chances of survival. Those who get care only when they can barely breathe do worst. If you’ve had a rodent exposure and get any of the early symptoms, contact your health care professional immediately. AT RODENTS STOP OUR LIFETIME RODENT FREE, 100% SATISFACTION GUARANTEE TO YOU! 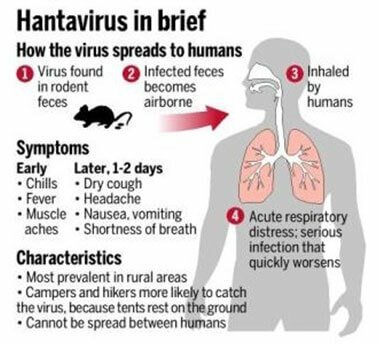 AVOID THE HANTIVIRUS, CALL TODAY!